Did you know that the very first event that I attended under Tammy's invitation was Benefit as well? (Read the blog post here! 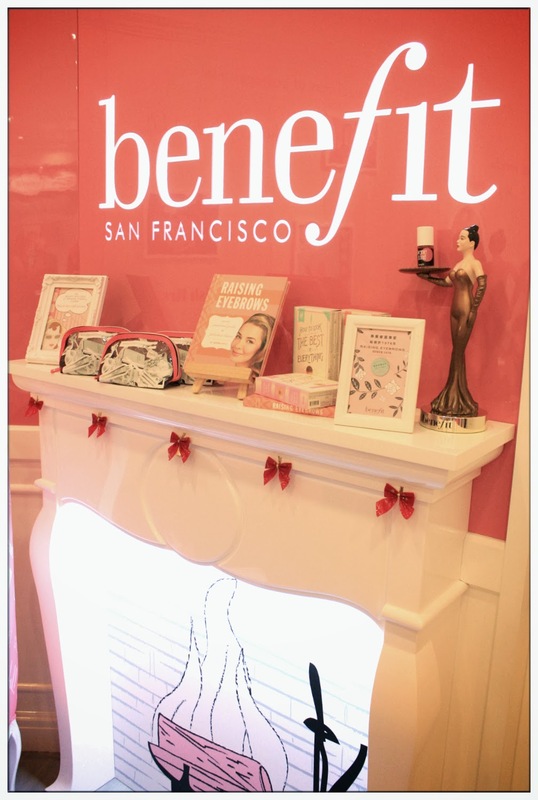 )That's like few years back, and I really love Benefit's blogger party as they are generous in information, beauty tips and tricks sharing, and not to mention we get to try out Benefit cosmetics as much as we wanted. 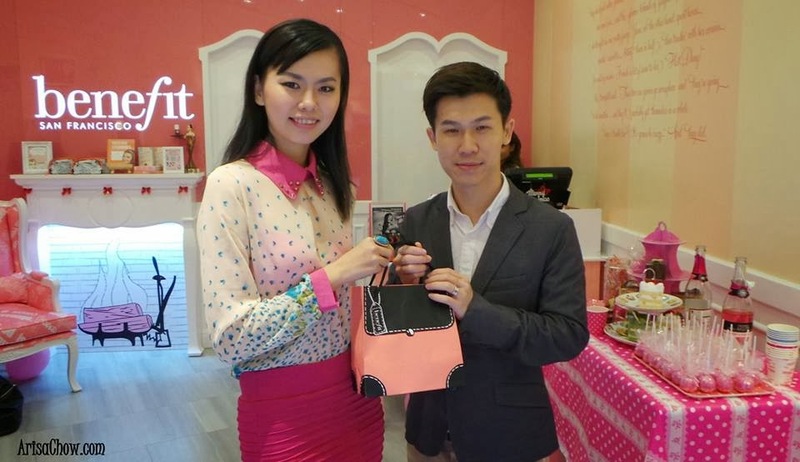 It was Benefit's very first blogger party back then, and last week, I attended another Blogger party under the collaboration of Benefit Cosmetics Malaysia and Butterfly Project, thanks for the invite, it was a fun one! The bloggers beauty bash at Benefit was located at the upper floor of Sephora Starhill, I just found out that there's an upper floor inside Sephora. Heard from Jean that they just recently opened the upper floor level and there locates the beautiful Benefit outlet! Looking a lot like one of the design for my dream house, warm, beautiful and dreamy! The american dream girl kinda lifestyle, me like! One of the must have in my bedroom in the future! So what's the theme of the bloggers beauty bash this time? We were told to attend the event with bare/base makeup only, we're gonna learn to do holiday/party makeup with the professional makeup instructor of Benefit using all the awesome Benefit makeup that's perfect for party occasions! 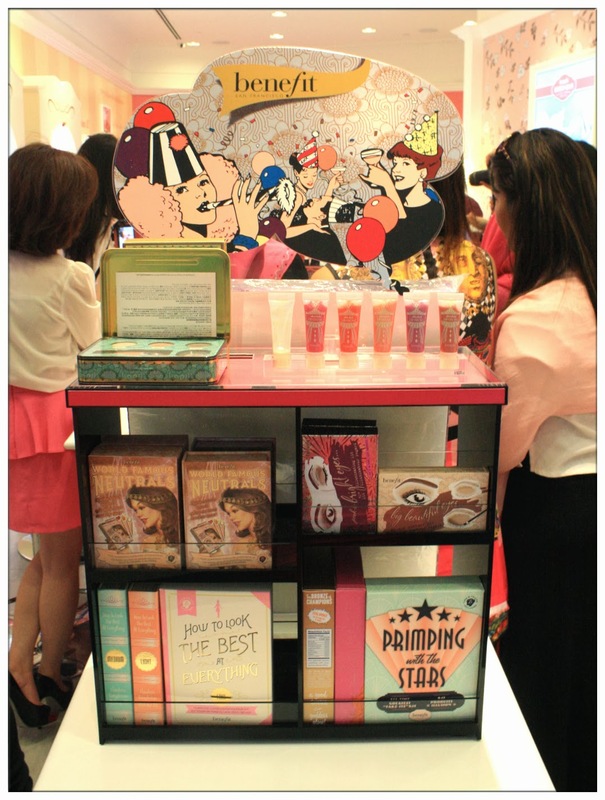 Benefit cosmetics have literally everything for your party makeup needs! So, am gonna show you the wonders of Benefit cosmetics. But first, after reading all the reviews and also makeup tutorials in my blog, what is the most important step when it comes to makeup? Yes! 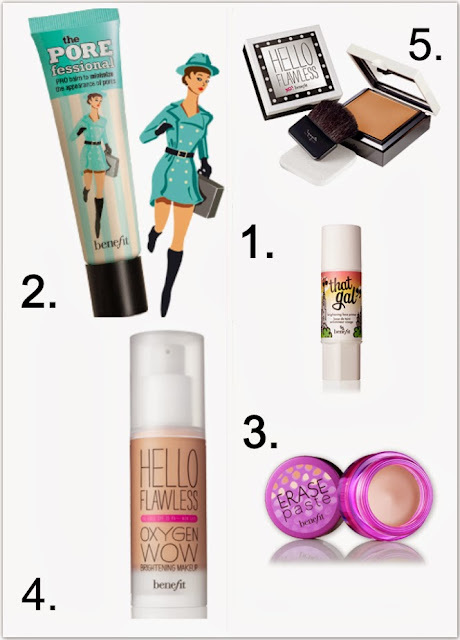 Makeup base and foundation to make your makeup stay longer! Especially party makeup, they require better makeup base and also foundation for the makeup to stay for longer hours! Concealers not just to conceal the uneven skin tone, but also make the eye area's skin shine bright too! 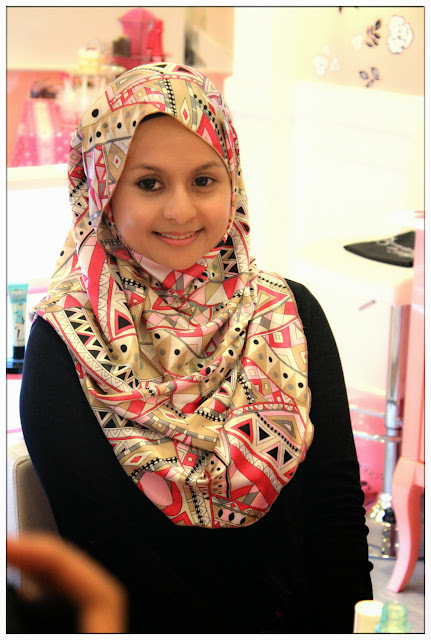 The professional makeup instructor is gonna show us the magic of Benefit's mascara. Voila! Can you see the drastic difference of both eyes? One with just eyeliner and one coat of mascara and that's it! And so, there was a contest for us bloggers, and it was to create an after makeup look with all the Benefit cosmetics available, choose your favourite ones and post it on Instagram. The Benefit team will choose who is the winner for the before and after holiday/party makeup look. Literally go bare that day. We're given time frame to fulfill the makeup task, and it was a tough one for me, as I like to take my own sweet time when it comes to makeup. Some more I'm not familiar with all the Benefit cosmetics at all, but guess what, challengeaccepted.jpg! 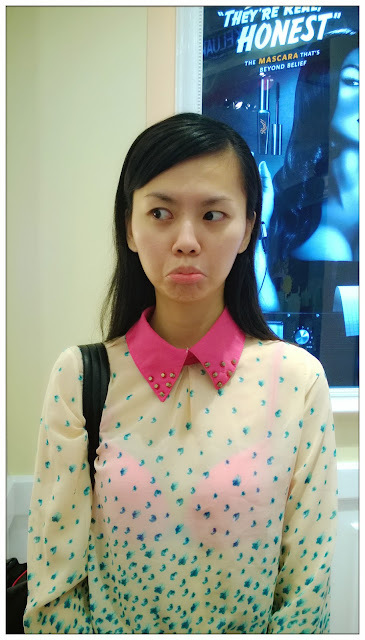 First, I used the That Gal as makeup base and Porefessional to cover all the huge ugly pores on my face, then I use Erase Paste to conceal my very serious dark eye circles. You have no idea how much effort I put into doing my foundation makeup that day. lol. After that, I put on a light layer of Hello Flawless Oxygen Wow! liquid foundation, it is the lightest liquid foundation that I ever used in my lifetime I guess, so light-weighted and fit onto my skin like a layer of satin! Love the feeling so much! Last but not least, I used Hello Flawless! pressed powder to finish my foundation makeup. My kind of Benefit foundation makeup. Then, comes to the crucial part of a party makeup: Eyes. 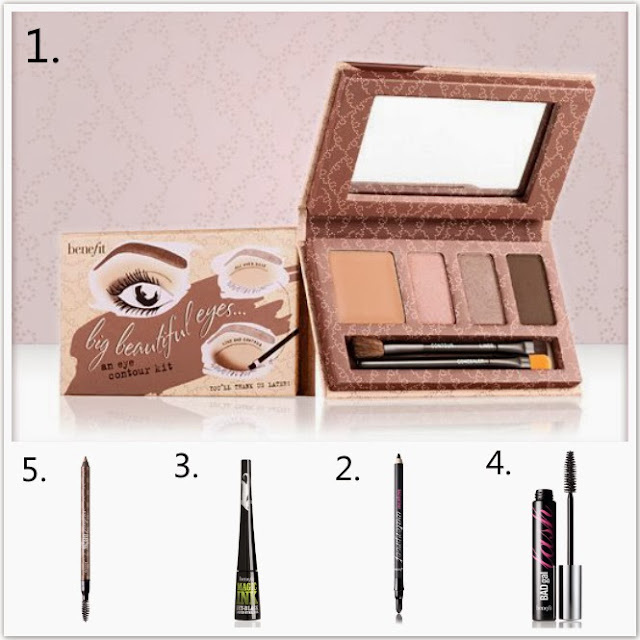 First, I put on eyeshadows using Benefit eye contour kit called Big Beautiful Eyes, using the pink and brown shades to create deep set eyes kinda look. Then I use BADgal Liner Waterproof to draw my eyeline, smooth and easy to draw, plus smudge-free! I do a winged liner using Magic Ink after pencil eyeliner because, you know, wing eyeliner is kinda like my signature already. lol. Of course, a pair of big bright eyes can't proceed without fluffy eyelashes, I chose BADgal Mascara to brush my eyelashes and finished my eye makeup by drawing my eyebrows with Instant Brow Pencil, natural colour and easy to draw, love it! Oops, sorry for didn't line them up accordingly. 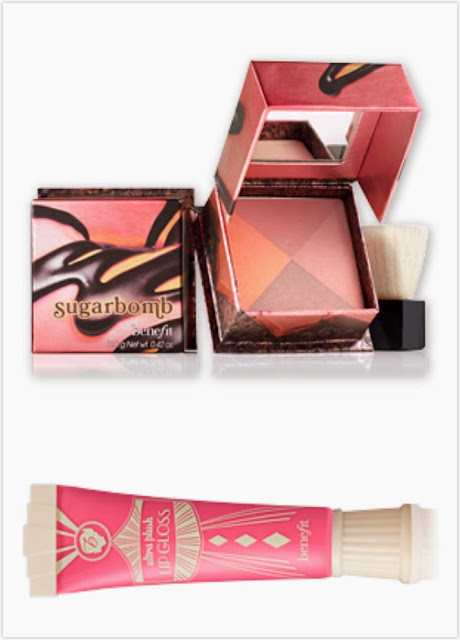 Lastly, I used Sugarbomb for my cheeks and the new Ultra Plush Lip Gloss to colour my lips. 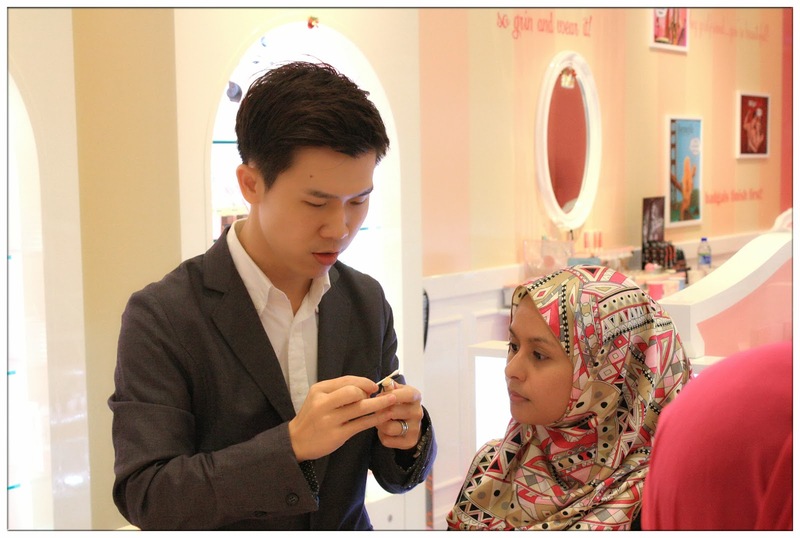 Sugarbomb compliment my skin tone so much, really love the blusher colour to the max. There are four shades of cheek colours in Sugarbomb - peach, soft plump, pink and rose powders that creates the perfect blushing cheeks for me. The Ultra Plush Lip Gloss smells like candy and make my lips looks plumpier and juicy too. For cheek and lips colour. My complete look holiday/party look using all Benefit products! The two above were using the Camera360 to take and the below are normal phone camera. After done the makeup, I was so hungry I starting to eat the cakes that were served as tidbits during the event. Me, Jean, Fatin and Lisa chatted and chatted until the result announced that I'm the winner. A bit shocked because totally didn't see this coming! Thank you Benefit team that chooses me as the winner for this mini contest. I honestly think all the bloggers did well with their party makeup too. 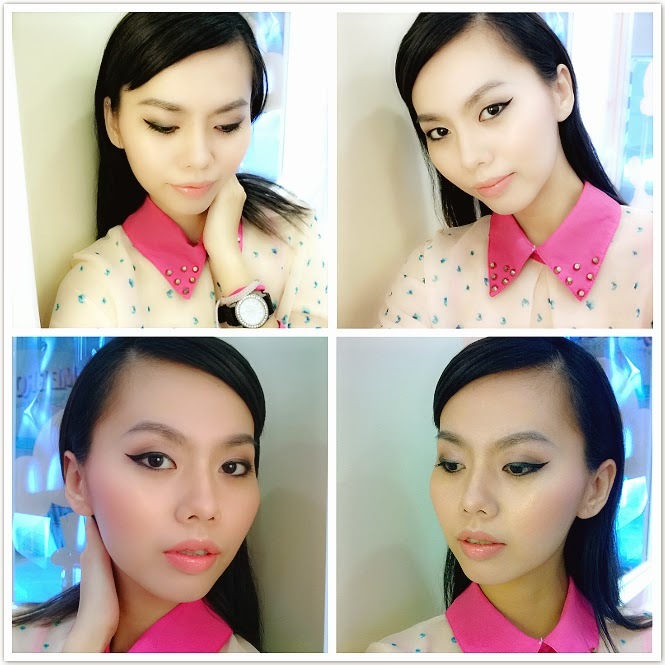 Do browse Instagram with the hashtags #Holiday2013MY to see more of other bloggers before and after makeup photos. The party ended with laughter and pretty faces all around. Am glad that I'm able to joined this Party Look Beauty Bash with the bloggers, Benefit Cosmetics Malaysia and also thanks to Butterfly Project for this wonderful event. 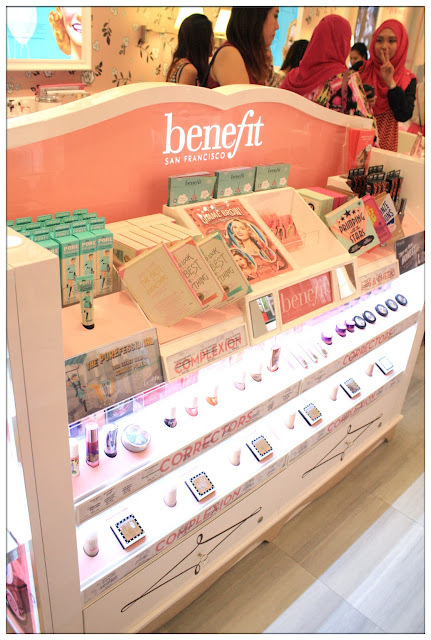 Do remember that there's a fairytale like outlet of Benefit located at the upper floor of Sephora Starhill, drop by and discover the wonders of Benefit products by yourself! Porefessional and Erase Paste jives well together!